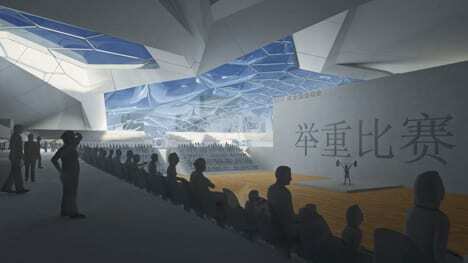 Those who watch ABC’s V The Visitors Series will agree that the Civic Sports Center And 2013 National Games Arena loks like the mother ship of Anna, the alien queen. 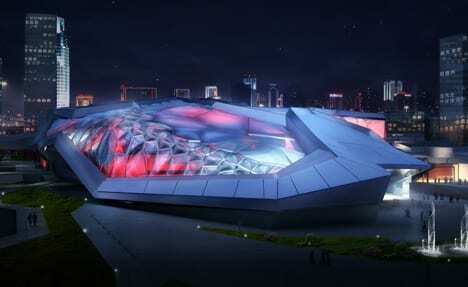 This rather futuristic looking sports complex will be built in Shenyang in China by 2013, and will have an area with a seating capacity of 2000, a swimming arena, football, basketball, tennis, badminton, and volleyball courts and civic sports centre. 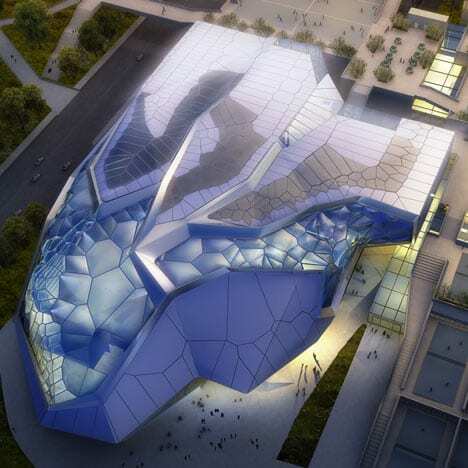 Adjacent to Zhongshan Park, the complex has a total built area of 123,000 square meters and the architecture is based on crystal patterning found in nature.